George Balanchine made his mark in the world of ballet for over 50 years. He gained fame as a young choreographer and was the co-founder, artistic director and chief choreographer of the New York City Ballet. With his over 400 choreographed works, Balanchine transformed American dance and created modern ballet, developing a unique style with his dancers highlighted by brilliant speed and attack. With the School of American Ballet and later with the New York City Ballet, Balanchine established himself as one of the world’s leading classical choreographers. He almost single-handedly brought standards of excellence and quality performance to American ballet, and nearly every ballet company in the world has performed his work. He received several prestigious honors including the Presidential Medal of Freedom, the highest honor bestowed on an American citizen. George Balanchine was born Giorgi Melitonovitch Balanchivadze in 1904 in Saint Petersburg, in the family of noted Georgian opera singer and composer Meliton Balanchivadze, one of the founders of the Tbilisi Opera and Ballet Theatre and later as the culture minister of Georgia. The rest of Balanchine’s Georgian side of the family comprised largely artists and soldiers. Balanchine was not particularly interested in ballet as a child, but his mother insisted that he audition with his sister Tamara, who shared her mother’s interest in the art, and viewed it as a form of social advancement. 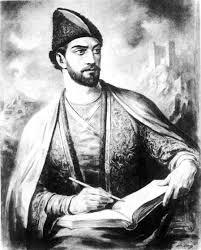 George’s brother Andria Balanchivadze followed his father’s love for music and became a well-known composer in Georgia. At the age of 10, Giorgi enrolled at the Mariinsky Theatre’s ballet school where he learned the precise and athletic Russian dancing style. He graduated in 1921 and subsequently attended the Petrograd State Conservatory of Music, leaving the conservatory after three years. While still in his teens, Balanchine choreographed his first work. In 1923, with fellow dancers, Balanchine formed a small ensemble, the Young Ballet, and used a group of dancers from the school to present his earliest choreographed works. Balanchine was invited to tour Germany in 1924 as part of the Soviet State Dancers, and at the completion of the tour refused to return to the Soviet Union and remained in Europe. He later joined the impresario Serge Diaghilev’s Ballet Russes. After Diaghilev’s most famous choreographer, Nijinska, left the group, Balanchine took her place. At the age of 21 he became the main choreographer of the most famous ballet company in the world. 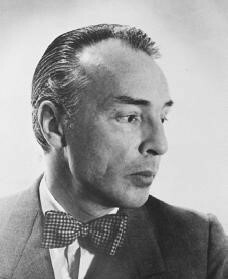 Balanchine did ten ballets for Diaghilev, who insisted that Balanchivadze be changed to Balanchine. In addition to the major works with Diaghilev, Balanchine also worked with composers such as Sergei Prokofiev, Igor Stravinsky, Claude Debussy, and artists who designed sets and costumes, such as Pablo Picasso, and Henri Matisse, creating new works that combined all the arts. In 1928 in Paris, Balanchine premiered one of his most innovative ballets, Apollon musagète (Apollo and the muses) in collaboration with Stravinsky combining classical ballet and classical Greek myth and images with jazz movement. He described it as the turning point in his life. Balanchine considered music to be the primary influence on choreography, as opposed to the narrative. Following the collapse of the Ballet Russes, Balanchine moved from one company to another until he formed his own company, Les Ballets. The American dance aficionado and arts patron Lincoln Kirstein, who wanted to establish a ballet company in America with American dancers, approached Balanchine about collaboration and the two began a 50-year creative partnership, co-founding the School of American Ballet in 1934, less than three months after Balanchine’s arrival in the U.S. The following year, the professional company known as the American Ballet emerged, becoming the official company of New York’s Metropolitan Opera until 1936. In 1946 Kirstein and Balanchine established a new company, the Ballet Society. The performance of Balanchine’s Orpheus was so successful that his company was invited to establish permanent residence at the New York City Center, which it did and was renamed the New York City Ballet. Balanchine finally had a school, a company, and a permanent theater. He developed the New York City Ballet into the leading classical company in America—and, to some critics, in the world. Balanchine served as artistic director of the company, based out of New York State Theater at Lincoln Center. He produced more than 150 works for the company, including “The Nutcracker.” in which he played the mime role of Drosselmeyer. The company has since performed the ballet every year in New York City during the Christmas season. With the School of American Ballet and later with the New York City Ballet, Balanchine established himself as one of the world’s leading classical choreographers. Almost single-handedly he brought standards of excellence and quality performance to the American ballet, which up to that point had been merely a weak copy of the great European companies. In addition to ballet, Balanchine choreographed Hollywood movies and Broadway musicals. He is known for his connection to Igor Stravinsky, where Balanchine created many ballets to his work, some in collaboration with the composer. Over his prolific career, he made over 460 works, which have been performed by nearly every ballet company in the world. Balanchine created plotless ballets, where the dancing upstaged glitz and storytelling. His work didn’t feature a star, because he believed the performance should outshine the individual. He is credited with developing the neo-classical style distinct to the 20th century. Balanchine’s choreography was dependent on pure dance rather than on the ballerina, plot, or the sets. The drama was in the dance, and movement was solely related to the music. For Balanchine the movement of the body alone created artistic excitement. He placed great importance on balance, control, precision, and ease of movement. He rejected the traditional sweet style of romantic ballet, as well as the more acrobatic style of theatrical ballet, in favor of a style that was stripped to its essentials—motion, movement, and music. His dancers became instruments of the choreographer, whose ideas and designs came from the music itself. In the Georgian Association’s run up to the 100 year anniversary of Georgia’s Independence, we will spotlight interesting features of Georgian American history. Today’s piece provides a snapshot of the Georgian diaspora in the U.S. The first Georgian diaspora organization in the United States was Kartuli Sazogadoeba (the Georgian Society) founded in San Francisco, California in 1924. In 1930, the Caucasian Society “Alaverdi” was formed to unite different Caucasian groups, and in the 1950s it ran a children’s summer camp. In 1931, the Kartuli sazogadoeba Amerikis sheertebul shtatebshi (the Georgian Association in the United States, or Georgian Association), which was more exclusively Georgian, was founded by, among others, Prince George Machabeli, Siko Eristavi, Paul Kvaratskhelia and Irakli Orbeliani. The Georgian Association remains fully operational today and is the only nationwide Georgian diaspora group in the US. Between 1955-75, the broader and less politicized community was served by the newspaper Kartuli Azri (Georgian Opinion). Starting in 1951, Georgians were awarded their own radio section on the Voice of America (recently celebrating its 65th year of operation) which still functions today with a small staff of dedicated Georgian journalists and broadcasters. A biography of Petre Kvedelidze, a former VOA correspondent, is posted on our website. Until the 1980s, the Georgian Association ran a cultural center known as the Georgian House. As noted earlier, the Georgian Association is the oldest diaspora organization In the U.S. representing the interests of the Georgian American community and its friends of which there is a growing number including former U.S. diplomats and development workers who served in Georgia, American businessmen, former Peace Corps volunteers and private citizens. . With over 1500 and growing number of Facebook friends, the organization has renewed its charitable, educational and cultural activities in the United States, focusing also on greater awareness about Georgia among American politicians, members of Congress, expert communities etc. The Association organizes annual celebrations including for Georgian Independence Day (May 26th — it marks the Declaration of Independence of the first Georgian Republic of 1918-21). The Association also promotes and educates the public about different Congressional resolutions including House Resolutions like H.Res.660 in 2016 “Expressing the sense of the House of Representatives to support the territorial integrity of Georgia”. It is also an active member of the Central and East European Coalition of Diasporas. Several other Georgian organizations have been created since 1991 to help Georgian society through a period of extraordinary economic deprivation and chaos. One example is the American Friends of Georgia created in 1994 and based in Massachusetts. The American Friends of Georgia is a humanitarian organization that funds a number of programs in Georgia that fight tuberculosis, supports orphanages, distributes food packages for the poor and books for libraries. Other important Georgian-American non-profit and cultural organizations include the America-Georgian Business Council which since 1998 promotes U.S. investment to and trade with Georgia), Tvistomi in New York (humanitarian community organization), the US-Georgian Friendship Association in San-Diego. The highly acclaimed Synetic Theater in Arlington, Virginia and the New York-based Dancing Crane Company represent efforts to showcase Georgian theatre and dance. 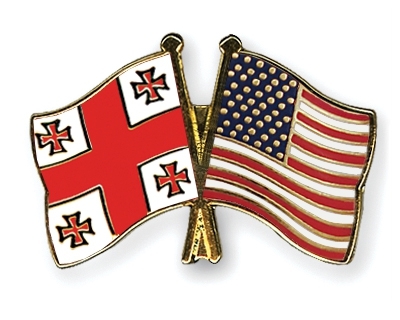 And finally, given the growing number of Americans of Georgian Orthodox ancestry, beginning in 2011, multiple Georgian orthodox parishes began to emerge in different states including New York, New Jersey, Pennsylvania, Washington, DC, Illinois and California. Established in 1932, the Georgian Association in the USA, Inc. is the oldest non-partisan nationwide organization in the USA representing Georgian-Americans and the friends of Georgia. The Georgian Association welcomes the incoming new administration in the United States and calls on President-elect Trump and Vice-President elect Pence to express their strong support for Georgia, and by doing so, to demonstrate the US government’s continuing support for freedom and democracy around the world. The Georgian Association calls on the incoming administration to take an active position in supporting Georgia’s sovereignty and territorial integrity, to help strengthen Georgia’s security and to deepen economic and business ties. A strong Georgia is in the interest of the United States. That is why Georgia has enjoyed strong US support under both Republican and Democratic administrations, which have consistently defended international law and condemned aggressive violations of national sovereignty. Georgia remains a loyal and fully capable ally of the United States; it has contributed to global security, and has been an active participant in every military campaign conducted by the US since 2003, providing significant and unconditional support. This has been achieved at the cost of Georgian soldiers’ lives. – Georgia is a reliable and strategic transit country for the US military, for the global energy markets, and for Asia-Europe trade. – Georgia is a vital ally to the West in a changing geopolitical environment, which includes an aggressive and revisionist Russia, a disintegrating Europe, and a volatile Turkey within an unstable Middle East. – Georgia is a regional leader in political, economic and social reforms, a country that has defeated petty corruption, and which continues to build on policies of political and economic reform. Georgia has achieved all these successes despite the Russian occupation of Abkhazia and Tskhinvali Region (South Ossetia), and continued Russian intimidation. Georgia is a consistent and reliable ally of the United States. We strongly believe that the United States should continue supporting a country that has proved its loyalty, both through its participation in NATO and through its steadfast defense of US interests in the region. Georgians should be proud of the many contributions and tremendous sacrifices made in Afghanistan as part of the international war on terror. Georgian troops arrived in Afghanistan in 2004. Georgia became the largest non-NATO and the largest per capita troop contributor to the International Security Assistance Force (ISAF) in Afghanistan by late 2012. At its peak deployment, Georgia provided two full infantry battalions serving with United States forces in Helmand province, primarily a United States Marine Corps (USMC) area. Since the beginning of their mission, more than 11,000 Georgian soldiers have served in Afghanistan. In June 2016, Georgia still had 861 troops, the largest non-NATO contributor to the Resolute Support Mission follow-on to ISAF, second only to the United States. While the Georgian combat mission in Helmand ended in July 2014, Georgia pledged troops to the new NATO-led non-combat, training, advisory, and assistance mission called “Resolute Support” launched in January, 2015. At various times, Georgia has also deployed an infantry company serving with the French contingent in Kabul, medical personnel within the former Lithuanian Provincial Reconstruction Team and some individual staff officers. Georgia’s commitment to supporting international forces has come at a price. Since 2010, 31 Georgian servicemen have died, all in the Helmand campaign, and over 400 wounded, including 35 amputees. Many of the amputees received medical treatment in the United States, mostly at Walter Reed National Military Medical Center (WRNMMC) in Bethesda, MD. Some soldiers with severe burns and traumatic brain injuries were treated at other specialized military medical centers. The amputees included single, double, and triple loss of limbs. At WRNMMC, they received excellent care including state-of-the-art prosthetics and rehabilitation. Some of the wounded warriors had their families residing with them during their stay in Bethesda, and two of the amputee families gave birth to children who will have dual citizenship. 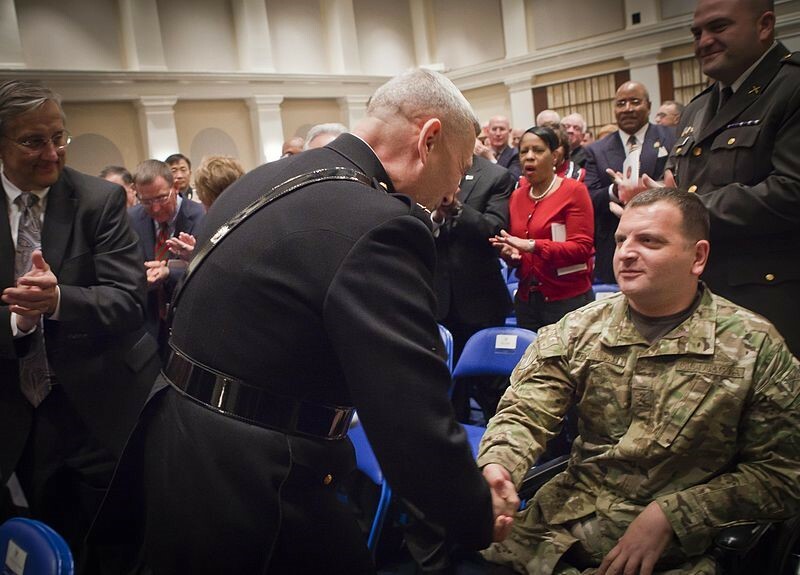 Gen. John M. Paxton, Jr., assistant commandant of the Marine Corps, left, thanks LTC Alex Tugushi, a battalion commander with the Georgia forces stationed with the Marines in Helmand Province, Afghanistan and wounded warrior, right, for his attendance and sacrifice during a promotion and appointment ceremony at Marine Barracks Washington, D.C., Dec. 15, 2012. During their rehabilitation, some lasting several years, the soldiers were often visited by Georgians living in the Washington, D.C. area, as well as Americans who learned of their sacrifices. At the recommendation of the Georgian Embassy, the Wounded Warrior Mentor Program (WWMP) started an English as a Second Language program to help the wounded soldiers benefit from their time in the lengthy treatment and healing involved in amputations. The WWMP, with a dedicated group of volunteers and six Georgian wounded with their relatives who act as Non-Medical Assistants (NMA) and two Georgian medical personnel, met weekly at Bethesda to study English as a second language, and also to socialize, watch sports and share food; Georgian food of course. One of the most severely wounded was LTC Alex Tugushi, a highly decorated battalion commander of the Georgian forces. LTC Tugushi, served two eight month tours in Iraq, and two in Afghanistan, the second cut short by his wounds from a roadside bomb. While recuperating at WRNMMC he was visited by many USMC officers and President Barack Obama. LTC Tugushi has since been promoted to full Colonel and lives in Georgia. By 2015, all the soldiers at WRNMMC had returned to Georgia to regain their lives with family and friends. United States Secretary of Defense Leon E. Panetta visited the Georgian 31st Battalion in March 2012. “I wanted to come here and thank you for your sacrifices,” the secretary said. The secretary read a letter he said Tugushi had given him for the battalion. Dated March 12, the letter read, in part: “It has been an honor to serve with you. You are Georgian heroes. … The Armed Forces of Georgia, serving together with international forces in Afghanistan, are making a large contribution……” “It is a great honor to serve shoulder to shoulder with the United States in one of the most troubled regions of Afghanistan,” the letter continued. When the secretary finished reading Tugushi’s letter, he said it expressed his own feelings about the accomplishments of Georgian troops over the past eight years as part of the 50-nation coalition. “You are an example of that international partnership, fighting for stability in Afghanistan,” Panetta said. Georgia, a small country that more than lived up to its commitment to the international community has yet to be accorded a Membership Action Plan which would pave the way for Georgia to become a member of NATO. The Central and East European Coalition (CEEC), representing more than 20 million Central and Eastern European Americans, strongly backs the United States’ continued unconditional commitment to upholding the NATO Treaty as well as U.S. support for the territorial integrity and sovereignty of all Central and Eastern European nations. Our organization stands firm in its belief that America’s close cooperation with all NATO allies and partners is fundamental to ensuring U.S. and European security. The CEEC urges both the current and future Administrations to continue developing allied relations with all NATO members and transatlantic partners, and to take such action as deemed necessary to maintain security of the Alliance, including the European Reassurance Initiative. The renewed aggressive behavior and actions of Russia against Central and Eastern European nations have raised the importance of NATO’s credibility and cohesiveness for regional stability. In February 2016, then-NATO Supreme Allied Commander Gen. Philip Breedlove stated at a hearing of the U.S. House Armed Services Committee that “Russia has chosen to be an adversary and poses a long-term existential threat to the United States and to our European allies and partners.” Earlier this year the CEEC sponsored a policy forum on NATO’s stance on Russia on Capitol Hill. A major theme of our discussion characterized Russia’s increasing aggression since 2008 not only in terms of fanning regional conflicts but as a fundamental assault on the post-World War II international order. At the Warsaw Summit in July 2016, NATO stated it was fully prepared to defend the alliance and pledged an increase in military spending, in response to Russia’s unpredictable and aggressive behavior in the region. The CEEC believes the commitment by the United States to NATO countries should be based on collective defense, shared values, and democratic principles, as well as support for regional partners. We have, and continue to support the principle of NATO’s Open Door policy, for all willing and qualified nations. The Central and Eastern European region is facing a multitude of threats from Russia. It is imperative for NATO members and partners to share collective knowledge in key security areas for combating a multitude of hybrid war forms, including cyber, media and economic manipulation, and destabilization in energy security. The CEEC supports U.S. continued commitment and leadership in addressing these threats. The security of the United States lies in the peaceful expansion of democracy, not in the appeasement of aggressor states making imperial claims. Proactive U.S. leadership is vital to NATO’s continued effectiveness, to protect peace and security in Europe. The crisis driven by Russia in Central and Eastern Europe, and in Ukraine specifically, will not just go away. In an informationally interconnected and economically interdependent world, the United States must take the lead in promoting international norms and consolidating geopolitical stability. John “Tsotne” Dadiani, a member of the Board of Directors of the Georgian Association represented the Association at the mark-up and reports there was widespread support for the bi-partisan resolution co-sponsored by Representatives Gerald Connolly (D-VA), and Ted Poe (R-TX). The committee members recognized that Georgia has pursued a peaceful resolution of the conflict with Russia over the territories of Abkhazia and the Tskhinvali region/South Ossetia. Several of the members compared Russia’s actions which were reminiscent of the old Soviet Union during cold war days, and that Georgia deserves to maintain these territories, and to have free elections this fall. While the measure was passed by the committee, some representatives expressed concerns that the resolution would antagonize Russia, and that Georgia was responsible for Russia’s actions in the region. Several members said the US needs to improve relations with Russia. Earlier in May, the Georgian Association recognized the efforts of the two Congressmen on behalf of Georgia’s territorial integrity by honoring them at its annual Independence day celebration. The Georgian Service celebrated its 65thanniversary on May 26, 2016 at VOA headquarters in Washington DC. Several dignitaries were in attendance including Georgia’s ambassador to the United States, Archil Gegeshidze, the Honorable Kenneth Yalowitz, former U.S. Ambassador to Georgia, and the Honorable Kurt Volker, Executive Director, the McCain Institute for International Leadership and former U.S. Permanent Representative to NATO. The current U.S. Ambassador to Georgia, Ian Kelly delivered a message by video. Anna Kalandadze, Chief of the Georgian Service moderated the event. The Georgian Association has been an active supporter of the Georgian Service–indeed several Board members’ fathers worked for the service for many years. 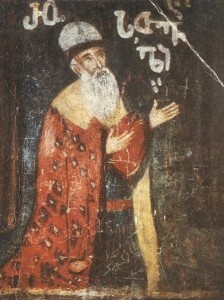 And, the first director of the Service, Irakli Orbeliani, was a founding member of the Georgian Association. Congratulations to the Georgian Service on its over six decades of fulfilling its mission of providing objective and timely news to the people of Georgia. The Georgian Association welcomes the release on May 25 of Nadiya Savchenko, a Ukrainian pilot imprisoned by Russia for nearly two years. She was falsely accused of responsibility for the death of two Russian journalists in the war between Russia and the Ukraine. The GA stood with the people of Ukraine and the European Union in denouncing Moscow’s disregard for human rights and the harsh and unwarranted prison sentence imposed on Savchenko. The GA will continue to be a voice for former Soviet bloc countries in their quest for freedom and rights under international law.